Airport officials in the D.C. area are advising travelers to be alert after the devastating attacks in Brussels and and say Ronald Reagan Washington National Airport and Washington Dulles International Airport have a "robust security structure, both publicly visible and behind the scenes." Officers with long guns in hand and K9 units patrolled the departures area of Dulles airport Tuesday morning after the attacks. Travelers found armored police trucks at curbside check-in, and officers wearing tactical gear, face masks and thick vests. A flight from Dulles to Brussels scheduled to leave about 6 p.m. Tuesday was canceled, a Metropolitan Washington Airports Authority spokeswoman said. Airport officials in the D.C. area are advising travelers to be alert after the devastating attacks in Brussels, and say Reagan National Airport and Dulles have a "robust security structure, both publicly visible and behind the scenes." All flights arriving in and departing from Brussels Airport were canceled until further notice. 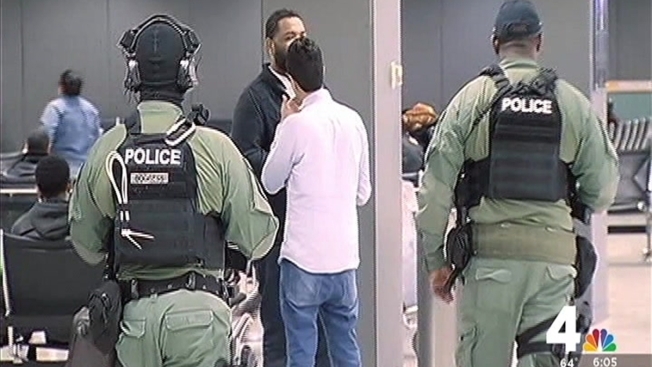 Passengers at Dulles, along with tourists visiting D.C., said they were unsettled by the attacks but said they would not deter them from traveling. "There's terrorists trying to scare people, but we won't stop moving," one traveler said. "We will never stop travel." Crowds of tourists flocked Tuesday to the cherry blossom trees along the Tidal Basin and to the National Mall. The airport authority's top priority is safety, a spokeswoman said in a statement. "We constantly train our employees and evaluate our security procedures, in collaboration with our federal partners and local mutual aid partners, to make adjustments, updates and enhancements based on new information and situations," the statement said. The airports authority declined to provide additional information on security measures. An aviation security expert told News4 it might not help for airports' secure borders to extend beyond the Transportation Security Administration's current line. It would be more effective to better train law enforcement officers and airport staff about interactions with passengers, said Higareda, who has spent nearly three decades advising airports on security. “It's something that we call behavioral detection," he said. "It's basically looking at how people are acting and moving around in the airport ... Are they walking together and then splitting up suddenly, going in different directions? Are they sweating? Are they nervous? Are they stammering, not able to answer questions?" 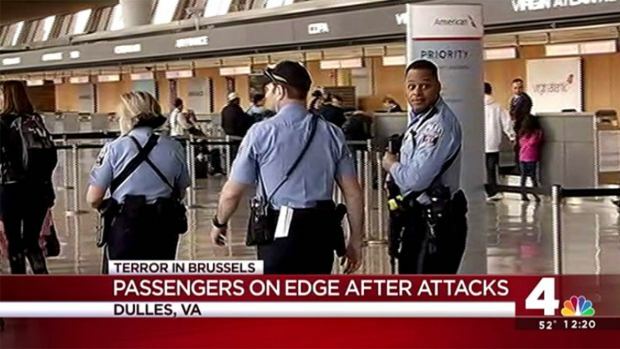 Airline passengers are asked to remain vigilant. If you see something suspicious, report it to airport police or an airport employee.